Automated testing is a key component in modern development. The benefit is that testing robots deploy the code while you sit back, satisfied that you aren’t breaking functionality. In this session, run through the basics that will help you get an automated testing program started. Meet some of our robot buddies we’ve been working with to increase testing coverage in deploying web sites, and learn how to incorporate testing into your dev ops. More specifically, he helps organizations design, create, implement, maintain, and extend highly customized instances of open source content management systems as a web developer, accessibility advocate, and occasional system architect. Luke has been with the Union of Concerned Scientists since 2017 and spent the previous decade partnering with arts and cultural organizations, higher education and academic research institutions, and many others while working at Sametz Blackstone Associates. Jeff is a co-founder of Beaconfire RED. 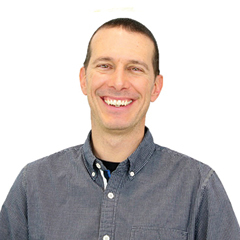 Having worked with nonprofits and associations for over 20 years, Jeff brings a strategic and operations perspective to marketing and technical projects. Jeff focuses on the business decisions that all nonprofits face when selecting technologies, partners and solutions for their online presence. Jeff’s background is in the project management and implementation of Web-centric applications for large nonprofits and corporations. Jeff’s clients have included the American College of Cardiology, Truth Initiative, AOTA, American Sociological Association, INFORMS, Foundation Center and Commonwealth Foundation. Jeff is a member of ASAE’s Technology Council and is a former board chair of Idealware (www.idealware.org). Jeff has also been a featured speaker on Internet issues and Web development strategies, presenting to nonprofits and associations at conferences including NTEN’s Nonprofit Technology Conference, ASAE Annual, ASAE Technology Conference, SXSW, Council on Foundations, eZ Publish Users Summit, and Idealware webinars.